But What if We’re Supposed to be Broken? Words of encouragement for the downhearted. Something we all can use. I went to hit “Like”, but then I stopped and thought about this for a moment. Are we supposed to go through life without anything ever breaking us? Are we supposed to be perfect? Or is life supposed to break us open? How do we get those breakthroughs if nothing inside ever gets broken? What happens, then, when our circumstances break us? Today is Thursday, April 30, 2015. Tomorrow, my rent is due. I have, at present, $17 in cash. I have $8.46 in my checking account. For over two years, I have struggled to find permanent employment since the demise of my job at the acupuncture clinic in Poulsbo. I have sent out countless resumes. I have applied for anything that seemed remotely do-able in this area – from clerk in a gas station to a job bagging groceries. Never, at any time in my life, have I ever had difficulty in finding employment. Last fall, I applied with an employment agency in Poulsbo. By January, I was getting some temp jobs, albeit sporadically. A one-day assignment here. A same-day (less than eight hours) assignment there. For a while, these were coming in about once every two weeks. Then, a stroke of fortune: a month-long assignment working the front desk at a local insurance agency. Full-time employment! The assignment ended, but before it did, the agency called about another assignment. This one would require an interview, but I was a shoe-in, right? The insurance agency had given me glowing reviews. No, no, and no. A week later, I got another call from the employment agency. This one was for a 12-week assignment. They wanted to see resumes first, then interview candidates. I got the interview, but not the assignment. Yet I know that I interviewed well. There has been nothing since. No calls from the employment agency. Not one assignment for the entire month of April. I look on Craigslist daily. Gravel truck driver, anyone? Bikini barista? Line cook in a restaurant? Unfortunately, these are not skills or experience that I possess. In the last week and a half, I have sent out two unsolicited resumes. I wait for the phone to ring. You could hear a pin drop in here. And I wonder, what is wrong with me? Why does this situation refuse to budge? What am I not doing? When I moved up here in 2012, I manifested a job and an apartment instantaneously. Effortlessly. Now? What needs to break in me for me to get the breakthrough? I am on my knees. In December 1999, I moved to Albuquerque, New Mexico. I found an apartment in an area called the Four Hills. In Four Hills proper, there were some extremely nice homes that backed up onto open space. The people who lived here had the “good” jobs in Albuquerque – working for Sandia Labs and Kirtland AFB. The Four Hills is adjacent to the intersection of Central Avenue and Tramway. Central Avenue is the old Route 66 and its eastern end has seen better days. Homelessness, drug traffic, prostitution, poverty – East Central is a world apart from the Four Hills. During my first days in Albuquerque, I signed on with a temp agency and immediately found work. I worked steadily and finally landed a “good” job – this one working in the education department of a large hospital. I did all this while living in my cheap and cheerful apartment that overlooked both the well off and the not-so-well-off. The complex where I lived had a laundry room, but it was often less time-consuming to take my laundry to a laundromat in a nearby shopping center on weekend mornings. Here, while my laundry cycled, I would watch people coming and going. There were Hispanic families with children running around. There were quiet men in cowboy hats and their taciturn wives, driving mud-splashed pickup trucks all the way from the East Mountains. There were long-distance truck drivers stopping in to do a little wash along the way. There were people walking home to nearby apartments with their groceries still in the carts. One morning after doing laundry, my husband and I were going to the parking lot to drive home. For some reason, we had two cars that day. My husband got in his car while I loaded laundry into mine. A woman who had been in the laundromat approached me as I was getting into my car. She had a small basket of freshly washed clothes in her arms. Would I give her a ride? She didn’t live far, only about a half-mile away. I looked at her, and I could not say no. There but for the grace of God, go I. My husband was already in his car. I could see him shaking his head no. But somehow, I knew I was protected. The woman and I drove off, my husband following closely behind. I looked at him in the rear-view mirror. He was furious. As we drove, the woman told me that she had had a normal life until some medical problem left her unable to work. In a few minutes, we got to where she lived. It was an older motel on Central that had rooms with kitchenettes that could be rented by the month. The woman got out, took her clothes, and thanked me. I never saw her again. There were many such broke and broken people living near Central and Tramway. A freeway exit for I-40 was nearby and there were lots of motels in the area. Some were newer, extended-stay kinds of places. There was an Econolodge and a Days Inn. There was a once lovely, now faded, classic 1940s-era motor court where prostitutes took their johns. There were two big grocery stores on opposite corners here: a Smith’s and a Raleys. Yeah, sure. There but for the grace of God, go I. What if it was me in that situation? And now, 15 years later, it is. What will break open in me when homelessness comes? The Aramaic scholar Dale Allen Hoffman says that it’s okay to let go because there is nowhere to fall, except back onto God. And it may take homelessness happening for me to finally let go, to finally break through that desire for acceptability, my need to look “normal”, my scheming to Make Things Work Out. I have always been stubborn. 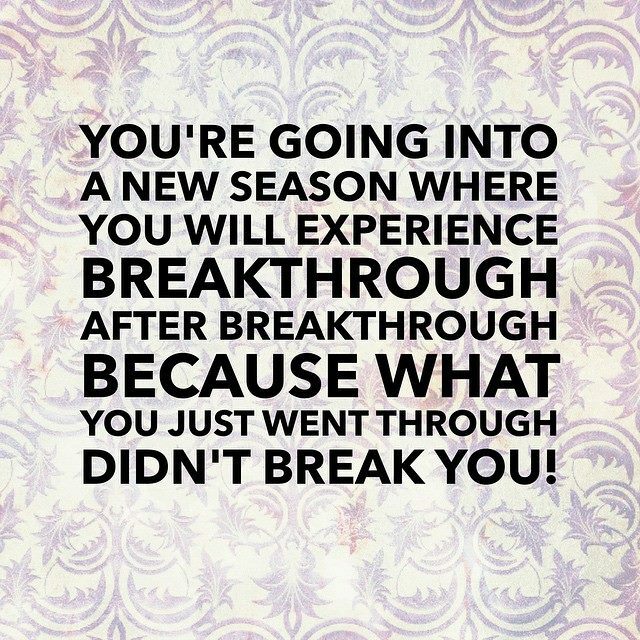 And who knows what the breakthrough will be. Will the wise crone in me be birthed? In homelessness will I finally find a home in God? Will I finally allow myself to become that completely open channel of divinity? Who can say? The only way out is through. See you on the other side. We say we want to “ascend”. to transmute lead into gold. the body a coarse obstacle to higher dimensions. the great Love that is the very ground of your Being? This Love is in you. Love is our common ground. I would linger here a moment. on your very lips with this Love. This morning, I sat quietly in the darkness sipping coffee and having my daily moment of communion with the Infinite. New snow had fallen overnight and all was cocooned in blissful silence. It was a deeply peaceful moment. I have come to cherish these quiet, pre-dawn darshan sessions. I get up before the world (and my own mind) gets busy and set out my tuning fork for the Divine. Sometimes it is a totally wordless experience. At other times, some new insight will be delivered, a bright jewel in my consciousness. This morning’s insight slipped in through a loose slat in the fence of my consciousness while my mind wasn’t looking. From whence did it come? My only answer was that I had been contemplating, the last few days, giving up chocolate. Some part of me reaches habitually for this treat when I am bored or feeling stressed. I felt dismayed, as if I lacked all discipline where this is concerned. It felt like sloth, and besides, it’s not as if I actually need dark chocolate. Could I give it up to begin flexing those flabby self-discipline muscles? I mused about whether or not this act of renunciation would bring me into closer contact with the Divine. It might at least make me more conscious of what else I am stuffing down besides the chocolate at these moments. And isn’t becoming more Conscious what it’s all about? My yearning for genuine relationship with the Infinite has both pushed and pulled me this past year. At first this longing made me deeply uncomfortable. What would people think? Could I even explain to anyone what this desire is like? It feels like I am one who has been blind since birth yet has been given a fleeting glimpse of my Original Face. Now I want only to See it again, with eyes of my soul, and let the world say of it what it will. So I have dallied at the shore of this ocean, sometimes sticking a toe in and quickly withdrawing it, other times wading out until the water is up to my knees when I think no one is watching. Yet the ocean continues to beckon. “Just dive in!” it says. Will I? The path of bhakti yoga has also been pulling me into its gravitational field ever more strongly lately. Bhakti yoga is the yoga (union) of devotion, and the bhakti marg is the road to Love. A bhakta (devotee) sees the Divine as his or her most Beloved and seeks to merge into this ocean of pure love. All acts can become acts of devotion to the One. Through the practice of bhakti yoga, one really can pray unceasingly. And sometimes the best prayers are those of simple contemplation, when the Divine reaches out to us. This morning, the message was this: “You have senses that I may be delighted.” I began to ponder this. Did this relate to my chocolate habit? What if, instead of renouncing dark chocolate altogether, I simply ate it in a more conscious way? What if I offered up the smooth texture, the slightly bitter taste, the bliss of this experience to the Infinite One? So that God, who is not in a body, may experience – through my body – these sensations? Sounds delightful. Then I went and did my hatha yoga practice. This morning it was Forrest Yoga, a form that is difficult enough for me at present that I only can do it a couple of times a week. This practice, with all of its pleasant and unpleasant sensations, I offered to the Divine. I offered up my weak abdominal muscles and flabby triceps, too. I am grateful for this challenge though; it is burning away all that isn’t needed anymore. In Dolphin pose, for example, I was reminded to keep my tailbone tucked, my ribs and chest lifted, my neck and jaw relaxed, and oh, yes, don’t forget to breathe. Breathe? I was trying to hold on to a raft in rough seas until that blessed moment when I could come down onto my knees once more. Can the Divine want this? Does (S)he wish to experience my body’s utter lack of grace? Ah, God says. “I would experience that which arises within you at the moment you believe you cannot go on.” And so it is. I imagined offering each bite to the One, and chose to observe all I could about each food I ate: the yam’s silky sweetness, the bitterness of the sturdy greens, how the mixture of ground beef, diced tomatoes, and coarsely chopped onions in the meatloaf created a rough texture and savory taste on my tongue. My body was now a vehicle for God’s delight. The process of eating became much slower, so that the Beloved One would miss nothing. In the end, it is not about whether I eat chocolate or not; it is about how I eat the chocolate. Can I make even this small act a prayer? Can such acts be a way to step more deeply into the ocean of Love? Maybe so. The true definition of “practicing medicine” is really about practicing connection. Good medicine, done right, heals the wound of separation that we all feel. It heals the mind, opens the heart, and thus, an opening for physical healing arises. That is why good medicine takes time, just as all good relationships take time. The 7-minute visit that most doctors are forced into is satisfying for no one — not the doctors, nor the patients. It is like eating at McDonald’s vs. a home-cooked meal. The art of practicing good medicine, like the practicing of connections, cannot be rushed. I was so fortunate, when I worked at (the acupuncture clinic), to be a part of this. The luxury of time, of making those connections, was truly priceless. All good medicine is community medicine! Practicing connections. You could say that I was the front-desk receptionist at Blissful Spirit Acupuncture & Chinese Herbal Medicine, but what I really did was to practice the art of community. My work, aside from greeting, scheduling, collecting co-payments, and verifying insurance benefits, was all about maintaining a safe, warm, welcoming environment for our patients. And I did this in the wonderful company of my acupuncturist co-workers. The energy in the clinic was so intangible and yet very real. So many patients would come through the doors and drop down into one of the waiting room seats and you could see that they had momentarily let go of their everyday burdens, if only for an hour. It was wonderful to see new patients, some initially suspicious of all this woo-woo acupuncture stuff, gradually relax and begin to trust the process. It was also very poignant to realize that for some patients, our clinic was one of the few places where they actually could relax and be themselves. There was one patient, let’s call him Larry, who became a regular. Larry had taken early retirement from the shipyard due to a repetitive stress injury. He came as much for treatment from “Dr. Todd” as for the camaraderie. Larry, I soon realized, had few people in his life that he could talk to about the things that mattered, but he would talk to me before and after his appointments until the phone rang or the next patient arrived. We talked about juicing. We talked about organic gardening. We talked about hydroponics. He turned me on to beet kvass. Larry insisted on bringing in a fresh batch of “compost tea” every few weeks in a 5-gallon plastic gas can and he and Todd repotted all of our office plants in Larry’s special soil mixture, redolent with the smell of fish mulch. Then there was the day that Larry brought in a small digital camera to show us pictures of his hydroponically grown (and duly licensed) medical marijuana plants. After I began working at Blissful Spirit, we started a community acupuncture clinic. Acupuncture for the people! – No insurance required. Instead of being seen one on one, patients in the community clinic reclined four to a room in patio lounge chairs. All treatments were on a cash basis, and were designed to be affordable – about the price of the average insurance co-pay. I soon realized that we really were doing community acupuncture there one Thursday evening. A patient named Joshua came with his two young sons and they took seats in the larger treatment room. It was Todd’s night to run clinic and while the two boys were not there to receive treatment, Todd put a slim acupuncture needle in each of their arms, so they could get a feel for what their dad was getting. These did not stay in long, because the energy in a healthy young body requires little adjustment. I set the boys up with crayons and paper, while dad relaxed in his chair. Soon, another couple arrived and took up chairs in the same room. It turns out they were friends with Joshua and his sons, and pleasantries were exchanged all around. A bit later, I walked past the room and looked in. Everyone was fast asleep. All gone to Acu-Land, safe and sound. There were the de Lucas, a retired couple who came in almost weekly for treatment. Emilio de Luca had been a chef professionally, and his home-cooked meals still enjoyed renown among family and friends. When they arrived, Emilio would take Annemarie’s coat and hang it up for her. Annemarie, the keeper of the de Luca schedule, would check on upcoming appointments. Emilio would tell me what a nice blouse I was wearing. And I would ask Annemarie de Luca about all the pins in the hat she often wore. The de Lucas had traveled far and wide in their 50 years of marriage, and she had a pin from each place. Mrs. de Luca was very fond of orange spice tea and would fuss if we ran out. I would go through the ritual of making sure the water was hot and brewing a cup of tea when she arrived. Annemarie would take it gratefully, murmur her thanks, then place it on the end table – to cool, she said. Then Todd would come out to the lobby and it would be her turn to go back. The tea always sat and cooled, then Mrs. de Luca would require a second cup on her return. That is, unless Emilio drank it while she was getting needled. Then it would be his turn and Annemarie would take up her book and wait for Emilio. One morning while the de Lucas were there, another long-time patient named Carol arrived. Carol stopped at the front desk to book her next few appointments then took a seat in the middle of the row of 1950s movie theater seats that formed the waiting area. I thought she looked a bit tired this morning. I went downstairs to retrieve the morning’s mail and returned as Todd brought Emilio back out into the lobby. I had just come in the front door, and Todd was standing at the opposite end of the lobby. Carol and the de Lucas were sandwiched in between, making small talk while Emilio retrieved Annemarie’s coat. Then, Emilio, courtly and flirtatious as ever, proffers his hand to Carol and introduces himself to her. “I’m Emilio. Emilio de Luca.” Carol, now beaming, replies, “Carolina … Neroni”, giving him her maiden name. Immediately, the trio are engaged in lively conversation about all things Italian. Todd and I meet eyes across the room and smile at each other, at our patients, and at this precious moment. And these were the connections we made. The healing that took place at the acupuncture clinic went far beyond needling patients and dispensing herbs. The sense of ease and camaraderie, in a world where such moments are so rare, was a key component, and I am grateful to have been a part of this. We live in a world plagued by loneliness. The irony is that as we become ever more connected electronically via the Internet, text messages, and social media, we become more isolated and lonely on a human scale. Our electronic world has brought us much, but it has robbed us of many things. We no longer have much sense of privacy – you can memorialize your every fart on Facebook now – and some people do. Yet because we live so publicly in that sense, we have also lost a willingness to be genuine, to be vulnerable. We have become edited versions of ourselves, always striving to put a positive spin on our life experiences. How hard it is to tweet about our personal losses and failures! I know how difficult it is to expose my own vulnerabilities. 2013 presented many challenges for me. Financial security unraveled and there have been moments of choking terror when it came time to pay bills. This has led me often into the territory of self-judgment, as if that would really improve my lot. The weight of regret has sometimes been heavier than the chain worn by Jacob Marley’s ghost. But who really wants to hear about all that on Facebook? No one, that’s who. So, like many others, I just smile and say everything is fine. What is needed, by so many, is eye contact with a friend who is present enough to actually see and hear us, to bear witness to our lives. All the smiley-faces and hearts we insert in our Facebook posts cannot, unfortunately, duplicate a hug from someone who cares. 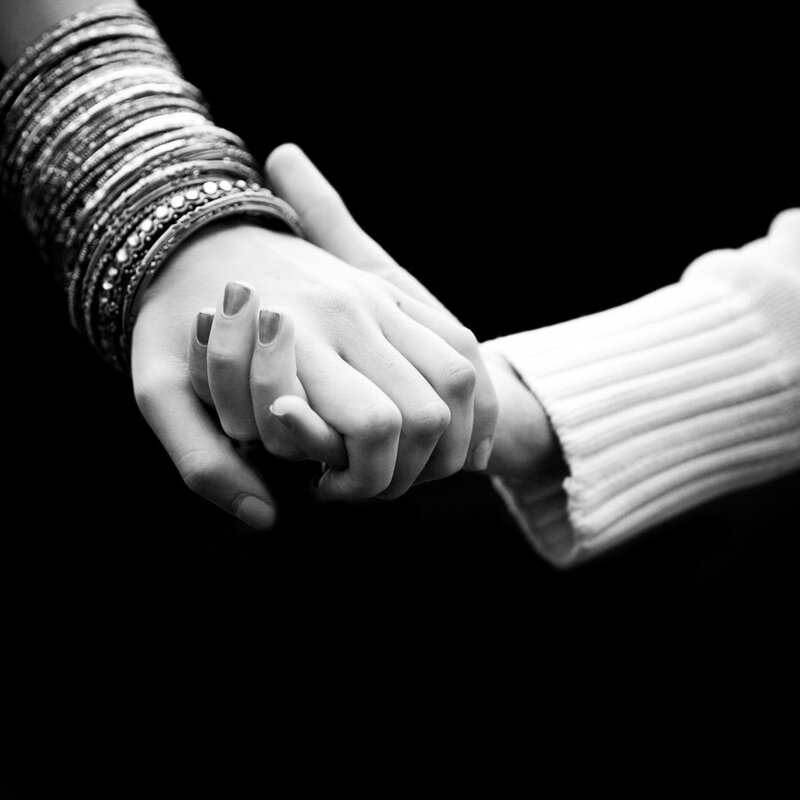 Touch heals, as does emotional intimacy. Lacking this, we become increasingly isolated and disconnected. A July 2013 report by the Barna Group states that the number of people who view themselves as lonely has doubled since 2000. And loneliness has been proven to have serious health effects. In her book Mind Over Medicine: Scientific Proof That You Can Heal Yourself, Dr. Lissa Rankin devotes an entire chapter to the subject of loneliness and just how sick it makes us. In study after study, lonely people were shown to have higher rates of heart disease, cancer, Alzheimer’s disease, and more. The mortality rate among lonely people who do contract these diseases is also higher. Clearly, feeling connected and loved, and having a sense of belonging is vital for a healthy life. We are quickly becoming a culture of the marginalized. How can we as individuals aid those whose spirits are ground up by isolation, economic stress, and the depersonalization of our culture? I do not pretend to have all the answers. However, I believe that we humans must begin to nurture and nourish each other again. We must begin to make connections again, as my co-workers and I did at the acupuncture clinic. The Gospel of Mark is the shortest gospel and likely the oldest. In many ways it is the simplest and clearest, and it cuts the hardest because it is so utterly without frills. The more that commentators have studied this gospel, the more they have found that the way in which Mark put events together is trying to say a lot about the centrality of suffering and the cross. By the end, it is as if the entire gospel is an extended introduction to an extended passion, death, and resurrection account. Mark is telling us that this is how a life of truth and faith culminates in this world. Rather bad news more than good news. 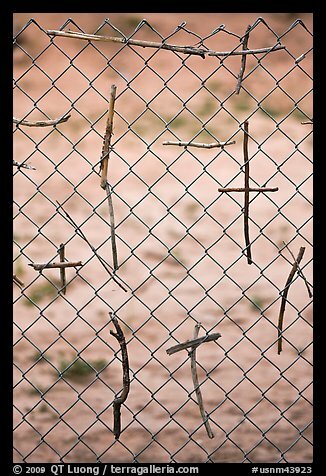 There is a cruciform pattern to reality. Life is filled with contradictions, tragedies, and paradoxes, and to reconcile them you invariably pay a big price. It eventually becomes evident that you’re going to get nailed for any life of real depth or love, because this upsets the world’s agenda of progress. This is not what the world wants, and not what the world understands. Any life of authenticity will lead to its own forms of crucifixion—from others, or, often, leading to various forms of self-denial. Mark constantly brings us back to the central importance of suffering. There’s no other way we’re going to break through to the ultimate reality that we call resurrection without going through the mystery of transformation, which is dramatically symbolized by the cross. I rent an apartment over my landlord’s wood-shop. In exchange for occasionally listening to the whine of his planer running downstairs, I get a marvelous view of the Hood Canal. Yesterday, the shop was dark and untenanted when I left to run an errand. Well, almost untenanted. As I passed one of the downstairs windows, I was startled by a thump against the glass. 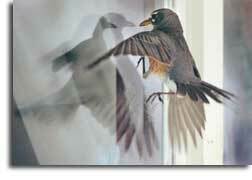 A sparrow had become trapped inside the closed shop and was flying against the window in a futile attempt at escape. I entered the shop to see what I could do. The bird was sitting on the inside sill, between the window and a piece of plywood that was leaning against the wall. I could not move the plywood because it was blocked by an enormous pallet of wood. Well, now what? I retrieved a flashlight from upstairs and came back to see how I might help the frantic sparrow. It had been frightened by my movements and was now down on the floor between the wall and the piece of 4×8. It managed to move out toward the center of the shop floor and began to fly toward another closed window. This one, at least, was more accessible. I opened this other window, but the frightened sparrow had flown to a new hiding space on the floor, next to some rubbish underneath a table saw. I did not want to frighten the creature any more. How long had it been in the shop? How long since it had eaten or had a drink of water? How many times had it flown uselessly against the closed windows? I just wanted the little thing to discover the newly opened window and fly free. I left the shop to give the bird some space and returned a short while later. No signs of the sparrow, so I presume it managed to escape. How often have I struggled, much like this bird, over the past seven months? Since the demise of my job at the acupuncture clinic in February, I have flown against many closed windows. I, too, have felt trapped. What looks like a clear path turns out to be a closed window. There seems to be no escape from the current circumstances. I have looked for other jobs. I have not been picky. I have applied for any part-time, minimum-wage job out there, just to have something to do, to have some dignity, but to no avail. I have looked for other administrative/receptionist jobs with no success. Recently, the spa manager at a local casino and resort encouraged me to apply for a self-employed contractor position as a massage therapist at their spa. This fell through as well — before I even got to do the standard massage interview. My most recent attempt was to rent a treatment room in an established healing center on a split basis. This would save me having to pay rent up front. The other practitioners said “we really like you” and “we hope you feel welcome” then decided to rent the room to someone who could pay the rent up front. Once again, I am back at square one, feeling battered after another assault against the glass window. I was so sure that freedom was near. Why is it that sometimes life flows so easily and other times we struggle in vain? A little more than a year ago, I moved back up to Washington state from New Mexico. I manifested an apartment and a job almost instantaneously. Now I can’t get arrested. My attempts to make something happen have been fruitless. The motivational speaker Lisa Nichols says that some gifts come wrapped in sandpaper. My seven-month exile has certainly been such a gift. The question remains: what is the meaning of this gift? When will a window magically be opened so that I can soar again?